ROMANCE BOOK PARADISE: Soraya Lane on Series and a GIVEAWAY! Soraya Lane on Series and a GIVEAWAY! There’s only one thing more exciting than starting a new story, and that’s starting a new series. I’m the kind of person who adores making lists and collages, so piecing together a four book series made me a happy girl! I’ve been carrying around a red leather bound notebook for some time now, filled with ideas for my “Montana” series. Writing the first book was a wonderful experience for me, and the best part is that I have three more books planned, all to be released this year. Writing a series is harder than writing a stand alone book, and it forced me to have an overarching plan for each couple right from the start. Although only one of the major secondary characters features in this story, I’ve mentioned almost all the other characters in passing. I guess in many ways this book wasn’t just Jack and Maddison’s story – it was the set up for the following three books too. As an author, I’m equal parts thrilled and terrified of writing a series. As a reader? I love them, no questions asked. And to be honest, that’s one of the reasons I wanted to write a series, because readers often email me asking about sequels, and I wanted to be able to say a big “hell yes!” when they asked about this book. Me too. I love going back to a similar setting with new main characters! Hi Nas and Soraya. Neat post. I adore a series or linked books. I especially love how Abby Green links her books. 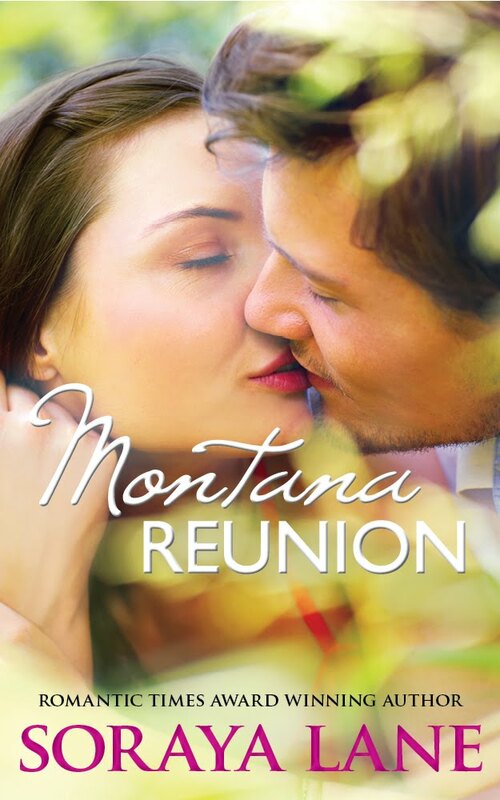 I'm reading Montana Reunion right now and am hanging out for lunchtime so I can continue. Hi Tash. So cool that you're reading the book now! Hope you enjoy it :) To be honest, it's one of my favorite ever books in terms of me falling in love with the characters. Thanks for letting us know Tash! I like short series. If they go on too long, I get bored with them. 3-5 books is perfect for me. How I feel about series depends. If I love the first one, I'll read on. Hi Theresa. So true! If the first book isn't great there's no point to continue reading the rest of the series. Thanks for coming by, Theresa! I like series and stand alone books. I've grown tired of some of the series out there. If the first book isn't strong, I'm not psyched to read two more, but generally romances are the genre I like to see a series from. I become attached to the hero and heroine and want to read more! Hi Emily. I love when the series has little snippets about the original hero and heroine, especially with category length stories when we don't get to see a lot about the hero and heroine's later life. Thanks for coming by Emily! Well done, Soraya, I'm looking forward so much to reading this series. Thank you for coming along Maria! I do like series, but I prefer them to be stand-alone so I don't get lost if I don't start from the beginning. Hi. I couldn't agree more - there's nothing worse than starting a book, realizing it's part of a series, and then it doesn't make sense at all! As a reader, I love a good series. As a writer, I can understand how they'd be exciting and frightening! So glad to meet you, Soraya. Wish you all the best! I so agree, Karen! Thanks for coming by! Hi Karen. Nice to meet you too! I love a good series. It's fun to watch a MC's journey through the books! Thanks for reading and for your comment Sherry! I love series as well! It's kind of hard to let go of characters once you've had an adventure with them. Thanks, I agree with you! Yep! Equal parts thrilled and terrified for me, too. :) But I love reading series! Thanks for coming by and reading this post! I love reading the first book in a series, knowing I don't need to let go of this setting and the characters for a long long time. Gorgeous book cover you have, Soraya! Thank you Deniz, I agree with you! Excellent post, Soraya. I do liked linked books, seeing characters come back again. Hi Nas! Hi Soraya! I adore series and read as many as I can fit in! I've only gone onto book 2 of a series a few times. I find it hard to stick to series since my attention goes to the other books in my TBR pile. I've been meaning to read Beth Revis' followup to Across the Universe. There are many more since there are so many good series out there. Thanks for coming by Medeia! I definitely prefer to read series. If you love the book, you don't have to be done when you finish it. Thanks for coming along Susan!